There’s nothing more thoughtful than a gift that matches a person’s style. 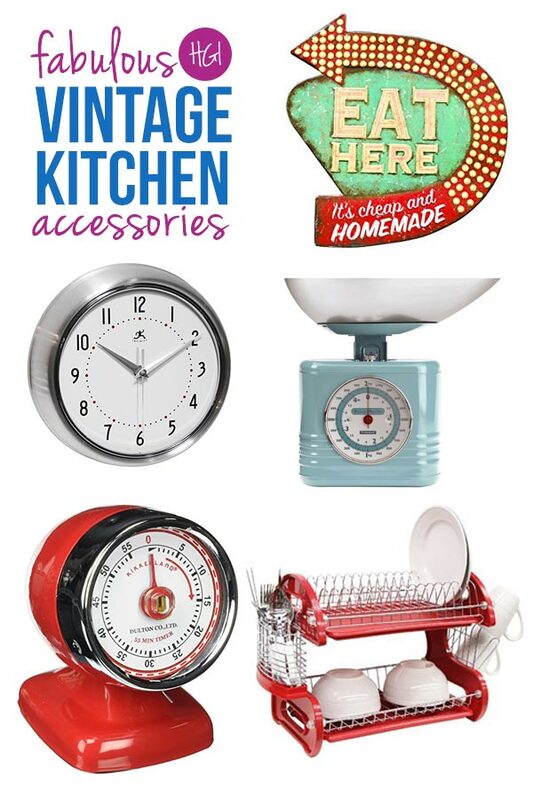 If your friend loves retro they will LOVE these vintage kitchen accessories! Are you looking for gift ideas for a friend or loved one who loves all things fifties and retro? My brother and his wife love everything from that era and I really wanted to find a unique gift that would fit their style. Keep reading to see the fabulous vintage kitchen accessories I was able to track down. As I was searching around online I found this picture over at House and Garden that is just filled with vintage kitchen accessories I know they will LOVE! 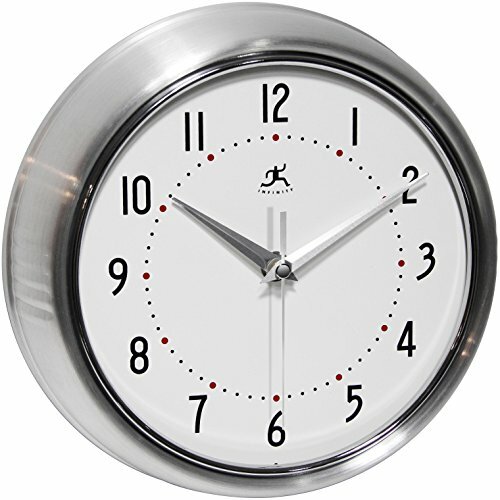 I was able to find a silver retro clock just like the one in the picture here at a great price. And this retro bread bin that has a great vintage look. 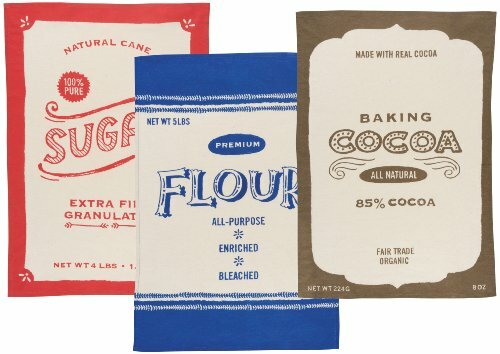 These vintage style dish towels are a great idea for a stocking stuffer if you don’t have a lot of cash to spend! 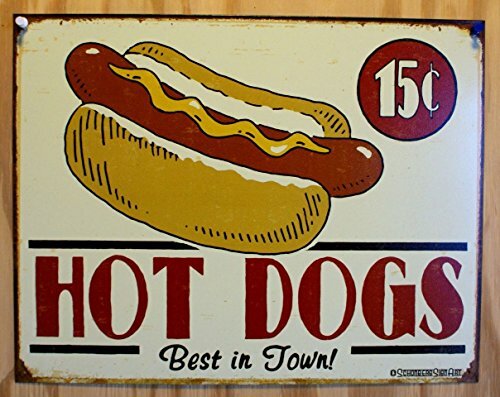 The one thing I really wanted to find for them was a tin sign as they are already building up quite a collection and have a whole wall in the kitchen dedicated to these vintage signs. 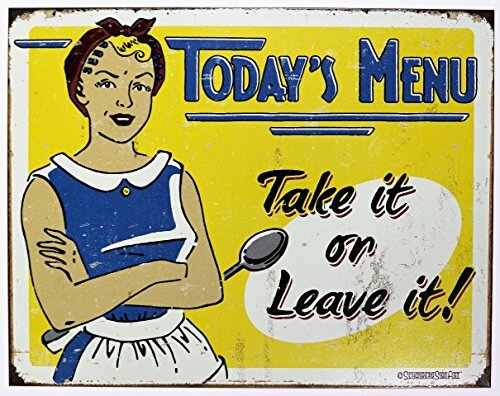 Here are three of my favourite retro wall signs. Once I started searching I uncovered so many FABULOUSLY retro kitchen accessories I was having a hard time narrowing down what I should actually buy for them! Wanna see what else I found? Keep on scrolling down! 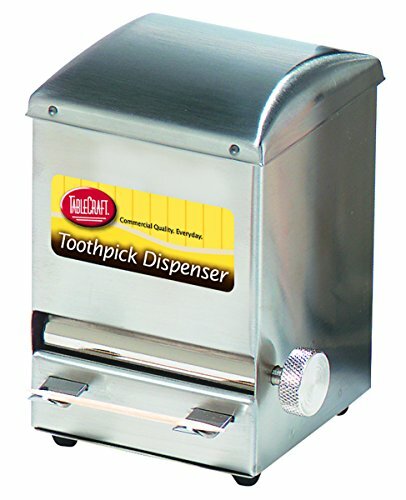 I love this toothpick dispenser! 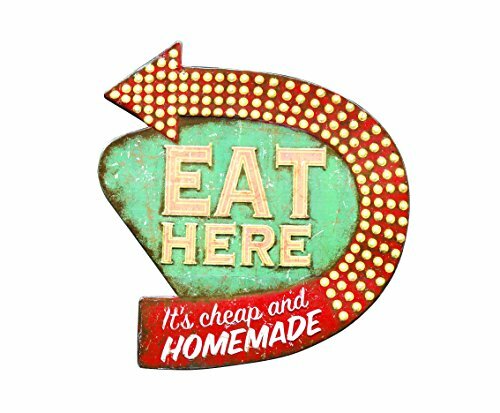 It’s so reminiscent of a fifties diner and you can add a box of toothpicks for a FABULOUS gift that costs less than 20 bucks! When I think Fifties I think shiny candy-apple red kitchen appliances just like this bagel toaster! 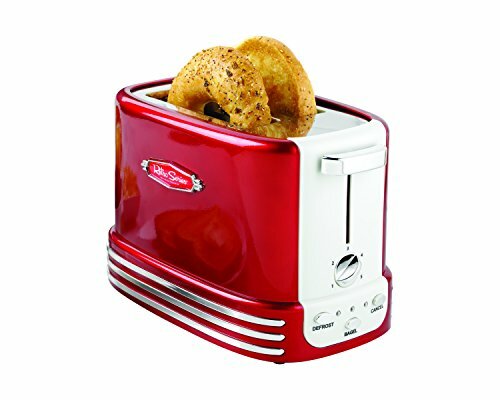 Not only is it perfect for toasting those morning bagels but your vintage loving pal can also use it to toast hot dog and burger buns! You know when you’re shopping for gifts for friends and family and you stumble across something you really want for yourself? For me it’s this! 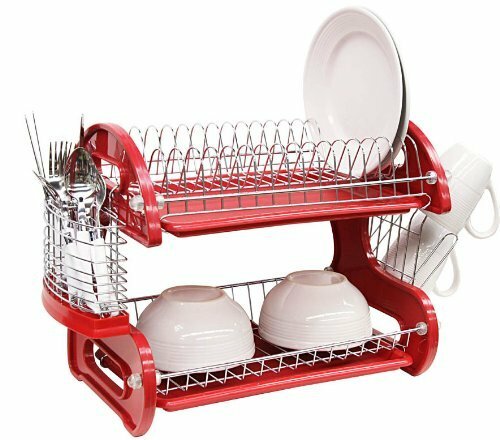 I hate doing dishes because I always feel like I’m playing tetris trying to balance everything on my dishdrainer – but this one is double decker style and even has a cool hanging rack on the side for glasses! 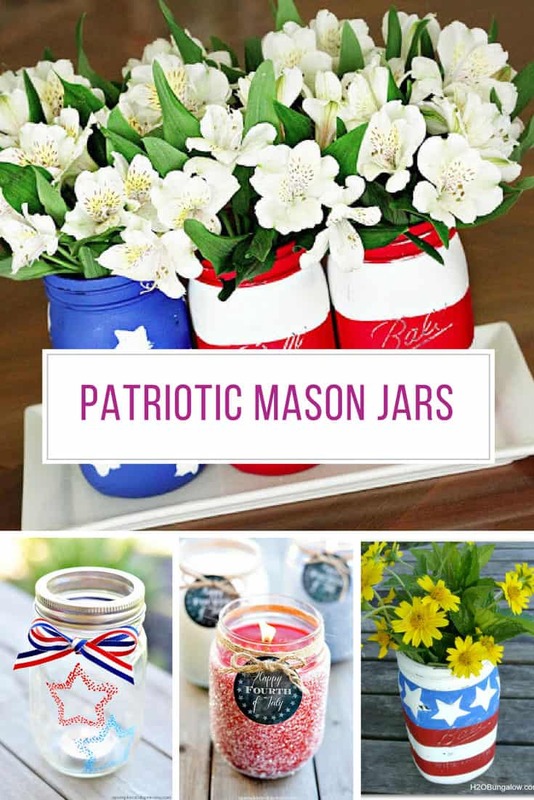 Here’s another perfect idea for a stocking stuffer for anyone who loves Fifties Vintage. 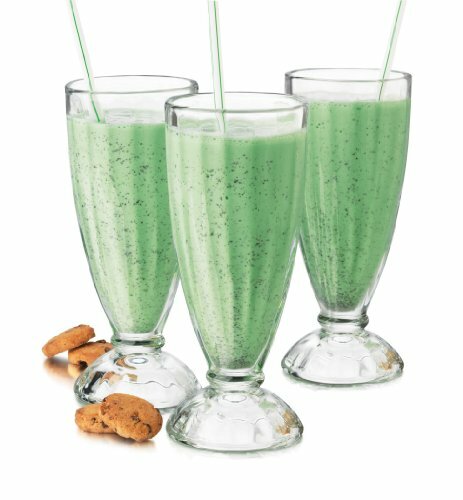 Because it doesn’t get more retro than Ice Cream Soda Floats – and these glasses are just perfect for serving them in! 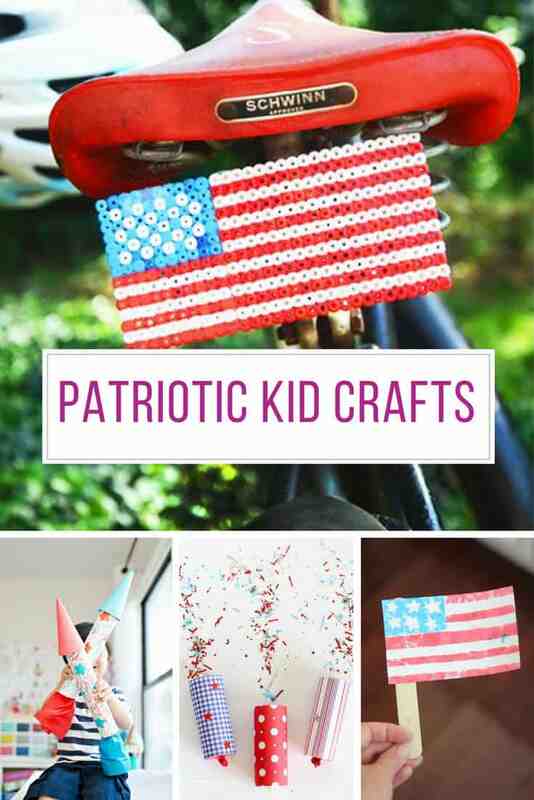 Add a box of these paper straws to complete the look! 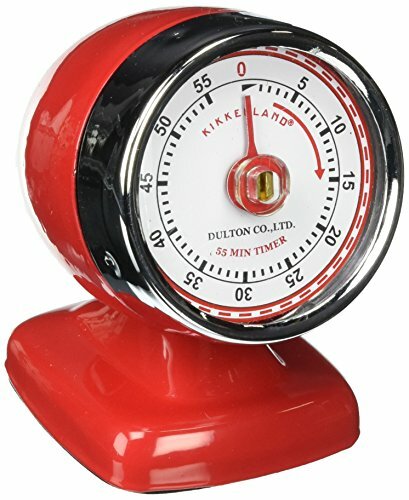 When you see kitchen accessories like this streamline timer it’s not hard to see why people love the era so much. Everything is just so darn stylish! This is a great price for a gift and so much more unique and thoughtful than socks or a sweater! It comes in blue too, just in case their colour scheme is the more pastel shade of Fifties vintage! 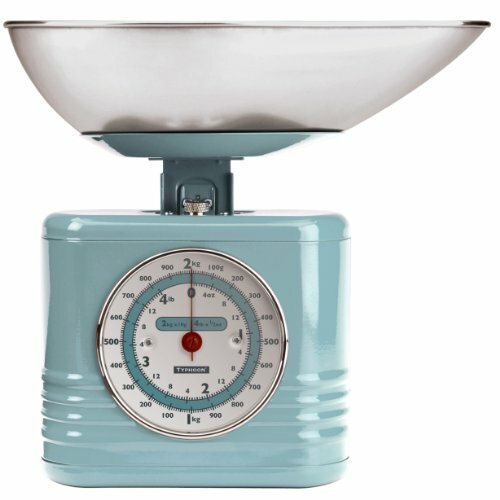 Oh and let’s finish up this collection of vintage kitchen accessories with this FABULOUS set of enamel kitchen scales. 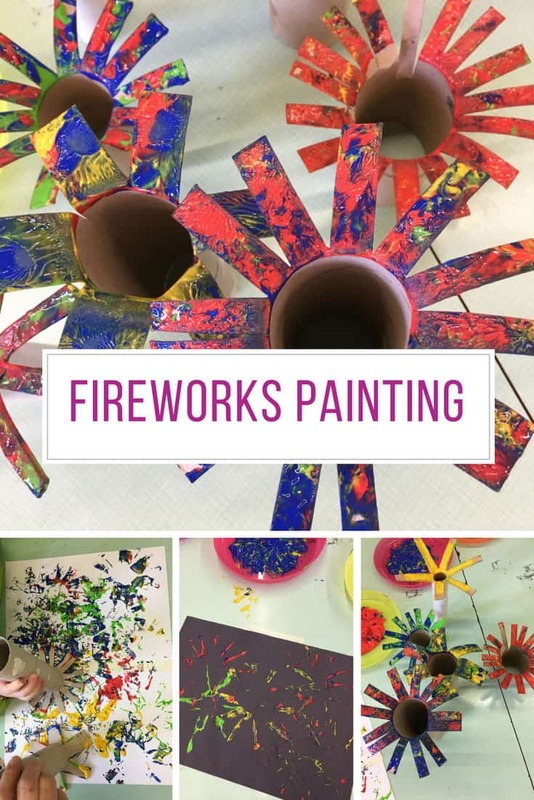 They SCREAM fifties and come in four different colours so you’re sure to find a set that match the colour scheme. They’re a little pricey but would make the perfect gift for your wife to show her how much she really means to you!